Kidical Mass Tacoma is a monthly bike ride for kids and their families. We ride in the street, following the Rules of the Road, and stop to regroup so we all ride together. 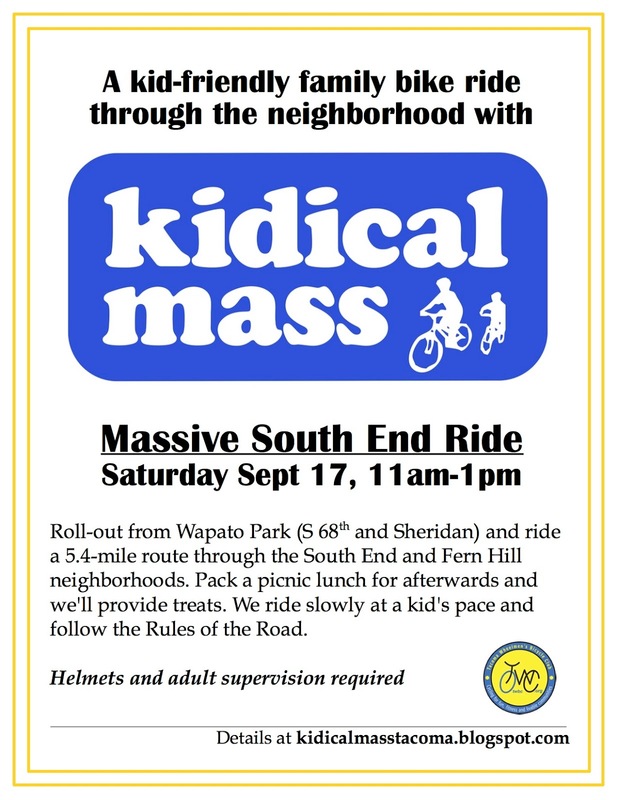 Join us on Saturday, September 17, 2016, for a ride through Tacoma's South End. 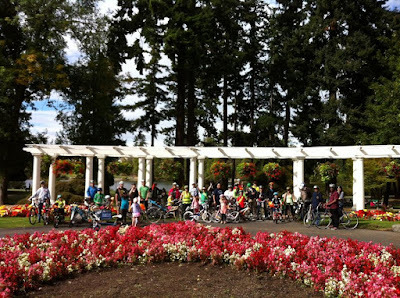 On this particular day, kids and families in cities all over the world are also going on a Kidical Mass ride in their community. It's a global Kidical MASSIVE event! 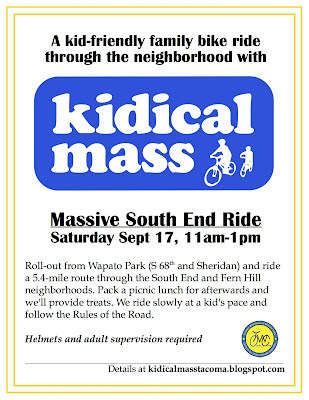 The ride will start at 11am from the playground at Wapato Park (near S 68th and S Sheridan.) Please come a few minutes early to sign-in, pump your tires and say hi to everyone. 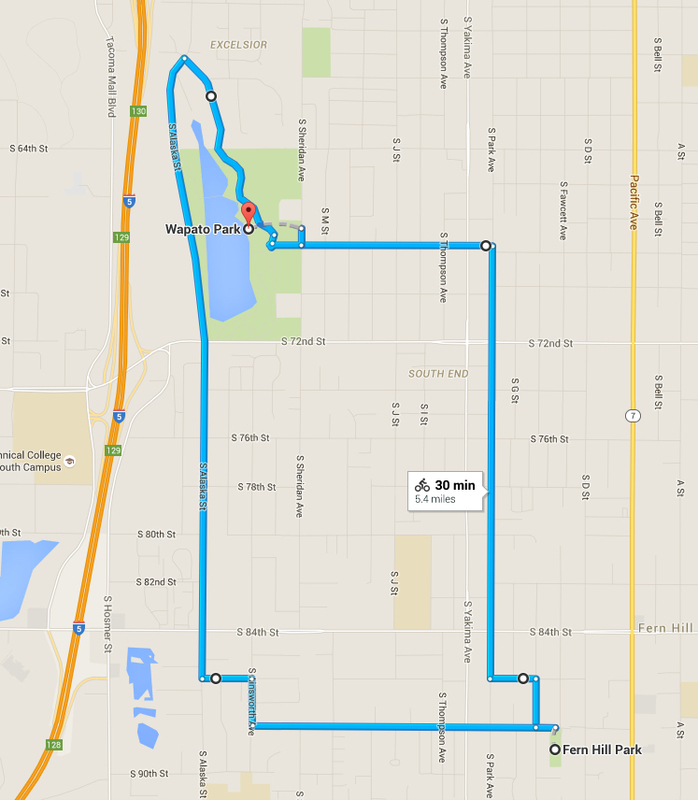 We will ride along Park Avenue South bikeway to Fern Hill Park for a short play break. 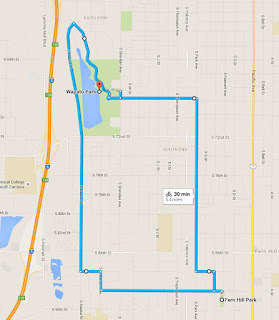 We'll then make our way through the neighborhood back to Wapato Park using the bike lane on Alaska Street. Helmets are required. Kids should be accompanied by an adult. RSVP on Facebook. Sponsored by the Tacoma Wheelmen's Bicycle Club.